This Is What Lives On An 8 Year Old's Hand, After Playing Outside | OhGizmo! Well then. That’s a lovely cornucopia of germs. 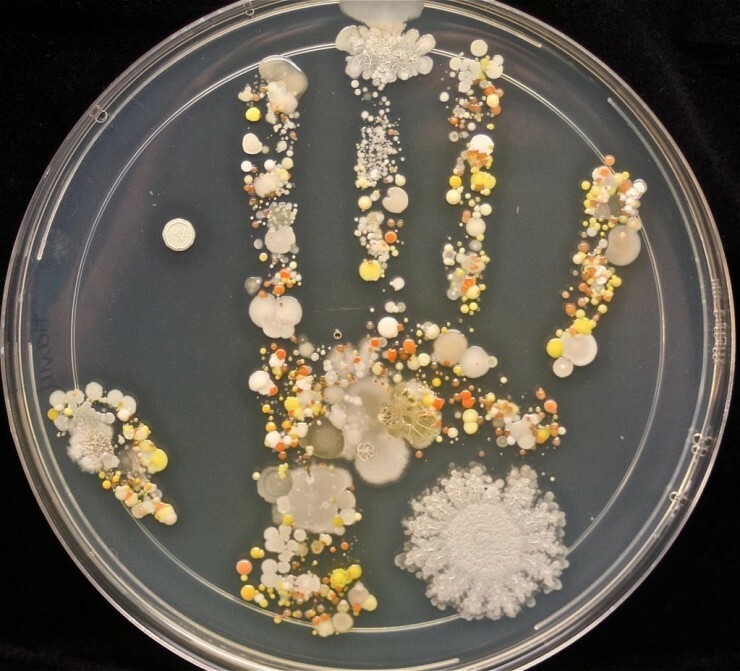 See, you’re looking at a Petri Dish full of bacterial cultures found on the hand of an 8 year old kid after he played outside. It’s gross and beautiful at the same time. And it’s a great reminder never to have children. Or at the very least, if you do, to teach them good hand washing manners. But we’ll be honest, our hands are probably not much cleaner, and that’s without even having to play outside; have you ever seen what grows on an old keyboard? So we’ll just stop here, that’s enough germophobia inducing material for the week. I always wash my hands after touching money. I hate to think of the germs on money.